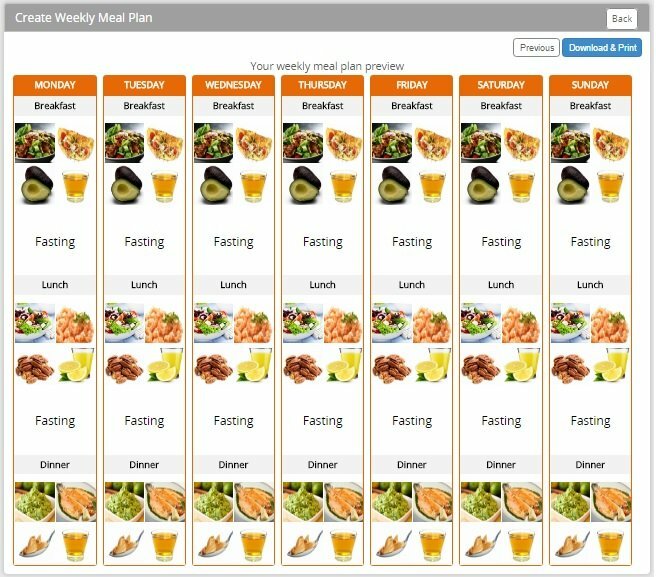 Create Weekly Meal Plans in Minutes! Stick To Your Plan Long Term! Create the Meals You Enjoy! Burn More Fat Week After Week! The Meal-Maker was design by Dr. Berg to ensure people had the right selections of food to get healthy AND lose the weight. After several versions with new updates, this program is awesome! It is so simple; just select the foods you want to eat – press print, and Meal Maker will generate your next week meal plan. The problem without having a plan for the week is it leaves you eating random foods and opens up the door to the wrong foods. Organizing what you are going to eat for the week takes attention off what to eat – so you can focus on just the doingness of eating. This program is simple, incredibly fast and powerfully effective. The meals are designed to include a vegetable, a protein, a fat and a drink. There are no options for grains, sugars, refined carbs. However, you will be satisfied because the healthy fats, which allow you to go from one meal to the next without being hungry. This keeps insulin down and you in fat burning. You have the option of creating less meals if you are doing intermittent fasting. As you select more than one meal for breakfast, lunch and dinner, the program automatically rotates the meals through the week. Some people can eat the same thing each day, yet others need variety – this program gives you the flexibility.